The sweatshirts and jackets have drawstrings through the hood, which pose a strangulation hazard to young children. 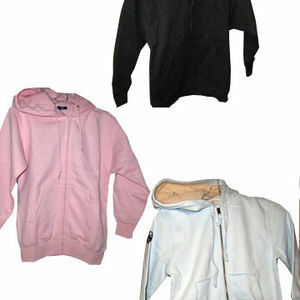 The recall includes about 43,000 sweatshirts and jackets sold in children's sizes small, medium, and large in the following colors: white, ivory, red, black, navy, brown, green, charcoal, blue, and pink. "BAC" is printed on the sewn-in tag on some of the garments. "Breckenridge," "Keystone," "Jackson Hole," "Vail," "Steamboat," and "Mackinac Island" is printed on the front of the garments. "Shirt Off My Back" retail stores located in Colorado, Wyoming, and Michigan from September 2005 through May 2008 for between $20 and $30. Immediately remove the drawstrings from the sweatshirts and return them to the place of purchase for a refund. For more information, contact Outfitter Trading Company at (800) 875-4352 between 9 a.m. and 5 p.m. MT Monday through Friday or visit their Web site at www.shirtoffmyback.com.